As a GP, from time to time, you’ll have parents bringing in their children with concerns about their behaviour, which may manifest as aggression, temper tantrums and hyperactivity as well as anxiety and depression. When reviewing these children, it’s important to do a comprehensive assessment, including a full history and examination. Their development, life events and family situation should be reviewed. Organic cause, including iron deficiency, should be considered and excluded. 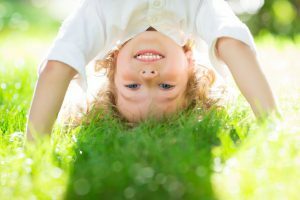 In this podcast, we listen to recording of a webinar with Marie Rauter, a paediatrician at the Royal Hobart Hospital, who presents a case and discusses the diagnosis of ADHD. Marie highlights the comprehensive assessment we, as GPs, can complete, and she outlines the management options she would consider as a paediatrician. Resources like the “Strengths and Difficulties Questionnaire” and the “SNAP-IV Teacher and Parent Rating Scale” are mentioned, and are worth looking up as they are invaluable tools in assessing these children. Excellent post and podcast,Ronda especially about diet aspect. An area I find challenging as a rural doctor is waiting time to be assessed by paediatrics team when we refer patients to assessment. Usual waiting time for behavioural assessment in Dubbo area is 8-12 months. Another aspect is, more general in paediatrics is dealing with dysfunctional families where parents expect medical treatment to fix her son/daughter’s behavioural issue whereas they are just reflection of their social problems. Copyright © 2019 | Remote Vocational Training Scheme Ltd. All rights reserved.